Classic Oldies and The Oldies Station WOLD are now featuring Jim Foster and his show "Jim Foster's Rock & Roll Reflections" playing all your favorite oldies. Jim grew up during the legendary days of Top 40 radio stations listening to WHB, WOAI, WLS, KOMA, WDXR, KAAY, WSAI and WABC on good nights in Kansas City. He began his radio adventures at the age of twelve while visiting his grandparents in Chickasha, Oklahoma at KWCO-AM. Jim loves oldies and his listeners! Jim is excited about getting to know you and the great music you love on Classic Oldies and The Oldies Station - WOLD! ! Feel free to e-mail your hard to find favorite songs and requests and we'll get them on for you! Click on the contact us link above. Jim was host of "Jim Foster's Rock & Roll Reflections" on several Kansas City radio stations for nine years. He is now heard around the world on oldies internet radio. Jim recreates the sound of Top 40 Radio the way it used to be. Jim loves sharing his music and you just never know what you'll hear next during his show! Jim loves oldies and his listeners! Jim is excited about getting to know you and the music you love on Classic Oldies and The Oldies Station - WOLD! Feel free to e-mail your hard to find favorite songs and we'll get them on for you! 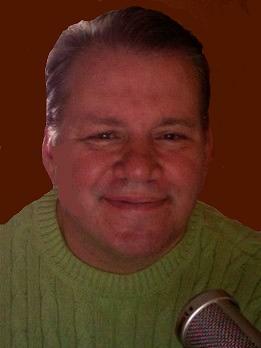 Besides broadcasting, Jim works for Ford Motor Company and is an avid music and PAMS jingle collector. His world class collection of oldies and knowledge of music will absolutely astound you! Jim encourages you to support your favorite oldies and Classic Oldies and The Oldies Station - WOLD! Keep the oldies rockin! Check out our web site for details!